We’re just lucky to still have Charley Crockett around at this point. While the 34-year-old was getting ready to have surgery for a seven-year-old hernia condition he’d been suffering from, but didn’t have the funds to address, he was diagnosed with a major heart condition. Born without one of his three heart valves, it was determined the Texas native and Davy Crockett descendant needed open heart surgery, or he would likely suffer major heart failure in a year or two. The diagnosis resulted in Crockett having to cancel numerous appearances and put other plans on hold. Luckily everything worked out for Crockett, and after a few months on the mend, he’s now ready to get back on the road to play the songs from his 2018 album Lonesome As a Shadow, and his recent blues covers record. 2019 will see some big opportunities for Crockett, including playing the Newport Folk Festival, Stagecoach in California, Red Wing Roots, the famous Braun Brothers Reunion in Idaho, and Charley will also travel to Europe, the UK, and Australia for numerous appearances. 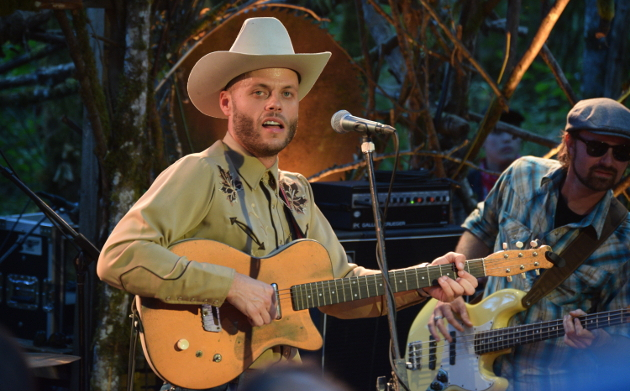 But none will be as big as when Charley Crockett steps into the hallowed circle of the Grand Ole Opry to make his debut on June 25th. Charley Crockett’s World Tour starts with two night’s at the famed Kessler Theater in Dallas, TX on April 5th. Find the full slate of dates below. Man I wish he’d come to Florida. Dying to see him. Same. Maybe he’ll read this and make some plans to come down here soon. So stoked to see him in Australia! Really really really keen, it’s good to see so many artists coming to Australia, and after having Florida Georgia line and thomas Rhett here to “headline” our biggest “country show” people should take note. So should CMC AUSTRALIA. Go away. I’ve been lucky enough to see him three times up here in Philadelphia the past couple years, twice opening for Turnpike Troubadours and once as the headliner. Charming guy, amazing stage presence, fantastic show every time. So glad he’s doing better healthwise, and can’t wait to see what he does next. I’m glad he is doing better. Best of luck out on the road to him! He is a treasure with such a strong spirit that comes through in everything he touches! And this post was a great reminder that I hadn’t listened to him in a while. Glad for the update on his health and tour!